Today, approximately 1.86 million mothers in the UK are stay-at-home mums, and there are also 232,000 stay-at-home dads. However, these numbers are decreasing because parents often feel that they can't afford not to work. Stay-at-home parents bring an invaluable contribution to the family and to the well-being of children, but this is not recognised from a financial point of view. While many parents make a conscious choice to go back to work, others that would like to stay home feel that they are not allowed that luxury, because government financial incentives are completely against them. This leaves them feeling like they are not valuable to society, as staying at home is "old-fashioned". However, there are many ways to work from home and support your family, while also spending time with your kids as a stay-at-home parent. There are plenty of apps which will pay you for activities that you would already be doing anyway. Usually, the extra cash isn't a huge amount, but it's still useful, especially given that you're not doing anything in particular to earn it. One example is Sweatcoin, an app which pays you to walk. The payout is in cryptocurrency which you can then exchange for rewards or cash; not only are you being paid to walk, this app also motivates you to go on more runs and be more active and fit in general. Another way to make passive income is through cash backs. With cash back sites such as Topcashback, you can earn cash back money on items that you would purchase anyway. Monetising a blog is not easy and it requires an investment of time up front, but it's a creative and satisfying journey. Writing has been shown to be beneficial for mental wellbeing, boosting mood, cognitive function and productivity, and you will also learn useful skills such as working with WordPress and designing a basic website. If you're planning to monetise your website, make sure to use wordpress.org and host your own website, as opposed to other services which host your blog for you, such as BlogSpot or wordpress.com. These latter services make monetising impossible or extremely hard. 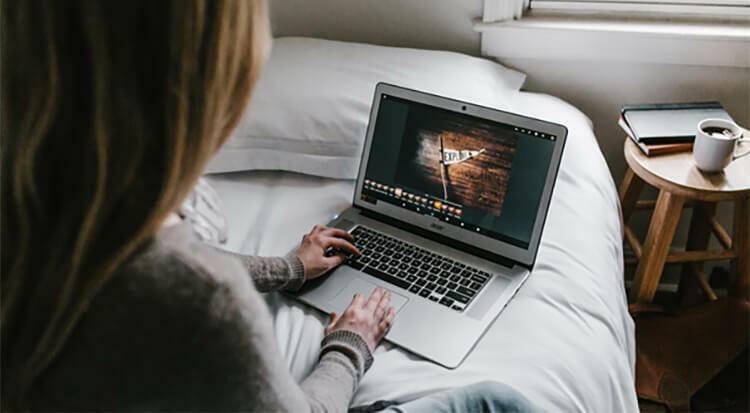 Once your blog is up and running, you can choose to monetise it through affiliate marketing, advertising (for example, Google AdSense), or perhaps selling products such as an ebook or an online course in something you excel at. Remember to write and post regularly, at least once a week, in order to grow your blog and your following. Set up your social media profiles to promote your blog and also set up an email list. Don't get discouraged if you don't see results straight away! In fact, building a blog is a slow journey, and many people give up when they don't see results. One of the biggest travel blogs today, Everywhereist, posted regularly for almost two years without really becoming successful, but after that the number of page views skyrocketed and so did the earnings. Decluttering your house can make you realise that you have way too many unused items around the house. Sell the extra items on eBay, or perhaps organise a garage sale. You can make money from selling old books, clothes you no longer use, old CDs, DVDs and games; vinyl records are particularly in demand right now among music lovers. If you're artistic, you could also sell your own crafts in garage sales and markets as well as through websites such as Etsy - setting up a profile is easy and the fees are low. Many websites will pay you to write articles for them; from there, you can build a client base and work on developing your freelance writing career. Furthermore, by writing constantly you will also be developing useful skills which you can use in other ways, such as starting a blog or writing an ebook. Another appealing aspect of being a freelance writer is that you decide when to take on work, which clients to work with, and your own schedule. This makes it easy to fit it into your days according to your schedule as a stay-at-home parent. You could also consider working as a freelance editor if you prefer editing and copywriting as opposed to producing content. In any case, plenty of websites and companies are always looking for freelancers to write or edit content. Rates vary, as some sites pay per word, some pay per project and others pay by the hour. Websites such as GoTranscript pay you to transcribe audio files. You can usually choose which audio files you want to transcribe according to theme and language and you simply type out what is being said in the file. The pay is not incredibly high, but you can work from the comfort of your own home and you can set your own hours. This may be a particularly good pick if you're a fast typist. Services such as UserTesting pay users to test websites. The goal is to provide companies with feedback on the usability and simplicity of their websites. A typical testing session lasts around 20 minutes; the testers are required to perform simple tasks and talk while they perform them, explaining what they are doing and also voicing any comments they may have on what they are doing. It's a simple, no-stress way to earn some extra cash. Whatever your skills are, there is always someone who is looking to learn what you can teach. Perhaps you're good with languages, or you play an instrument really well; parents are always looking for language and music teachers for their children. If you were working in economics before deciding to stay at home with your children, perhaps you can consider tutoring in subjects such as maths. Advertise your skills online, through social media as well as sites such as Craigslist to make some extra cash. Once you gain your first clients, word of mouth will spread and you may find you soon have more lessons than you can handle! If you don't want to tutor students in your own home, virtual tutoring could be a great option. Virtual tutors use services such as FaceTime, Skype or Google Hangouts in order to organise tutoring sessions, which can be conducted from the comfort of your own home. If you have teaching experience, this really may be the ideal way to make some extra income. You could also consider watching or babysitting other parents' children while they are at work; your friends who have chosen not to stay at home with their kids will probably be thrilled at the idea that an experienced, stay-at-home parent is watching their children, and your children will have new playmates to keep them occupied during the day. As you can see, it is possible for stay-at-home parents to make some extra income while also spending time with the children. Being a stay-at-home parent is certainly not an easy job, but studies have shown that it's highly beneficial for children. In fact, children of stay-at-home parents are more likely to take part in sports activities, are exposed to fewer germs and therefore are often healthier, because the parent usually has more time to prepare healthy, home-cooked meals. However, choosing to be a stay-at-home parent is a different decision for every family, and there is no simple answer as to whether it's the right choice for everyone. Spending more time with your children when they are little is something that you will never get to experience again; if you do choose to stay at home with your children and focus your energy on raising them, remember that there are, in any case, ways to earn money and contribute financially to your family. Now working as a researcher and writer, Jackie started her career in finance and banking, but after becoming a mom refocused and decided to spend more time with her family. When she's not writing, she volunteers for a number of local mental health charities and also has a menagerie of pets to look after.